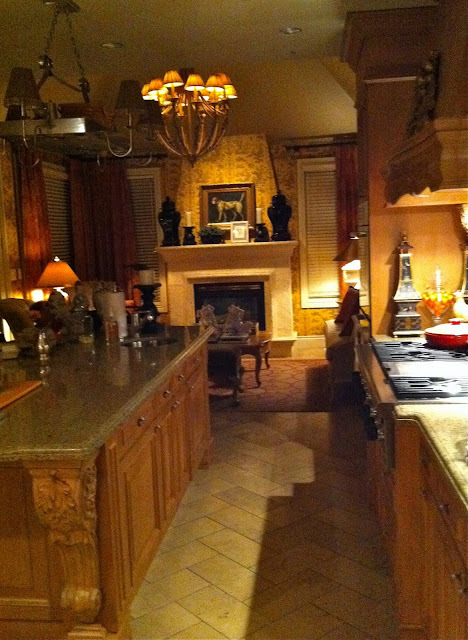 A reader recently asked if there was any chance I would show the inside of our home..............all you had to do was ask. But there is two things you should know before you step into my home. One, I haven't changed a thing in the 11 years since we built our Jack Arnold home so if it looks at all outdated, you would be absolutely correct. Two, I took these photos with my iphone...........so they could probably look a bit brighter and better. I do have professional photos that were used years ago for publication but I kind of preferred this more informal look.........since I am opening the door so to speak. The grainy quality hides the dust and imperfections quite well too. 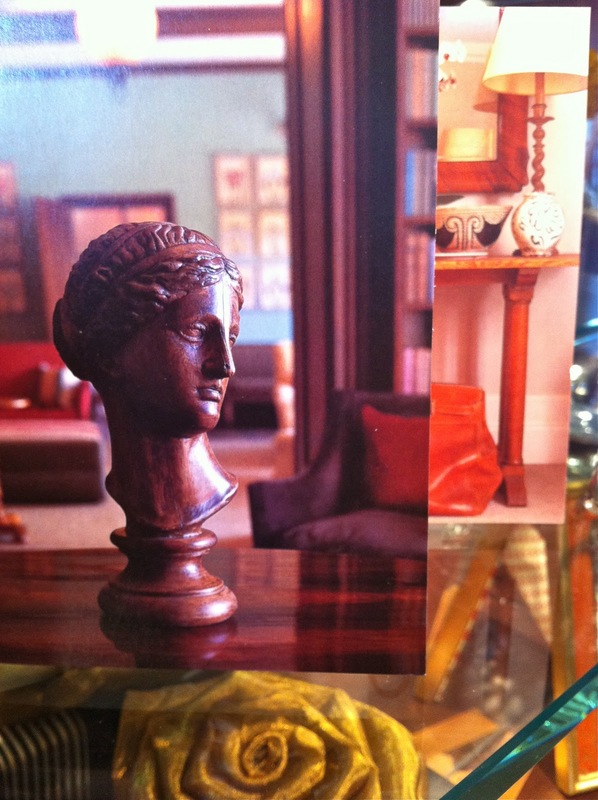 Nevertheless, you are welcome to come in and take a peek. One of the features I loved about French country design is what is referred to as a Keeping Room. It is a small sitting area attached to the kitchen and makes for a cosy spot and guarantees you always have company while tending to kitchen tasks. That chair on the left is where I sit and watch TV, you can't see it but there is a matching one for whoever plunks down and wants to chat. We caved last year and took down a lovely pair of framed prints and put up a big flat screen which everyone (but me) thought would wreck the room. I think it makes it downright perfect. The rule is whoever is doing the cooking gets to pick the programming. So far, this one only plays Oprah, HBO, and sappy movies. The other thing you might notice about my home is that I don't seem to have any good area rugs over all that limestone tile. Our adorable Shih Tzu that we had for 14 years never quite got housebroken perfectly (totally my fault) but we did accommodate his one flaw. Just in case. With another new puppy soon on it's way, I think I best leave the rug purchase to a later date (just in case). 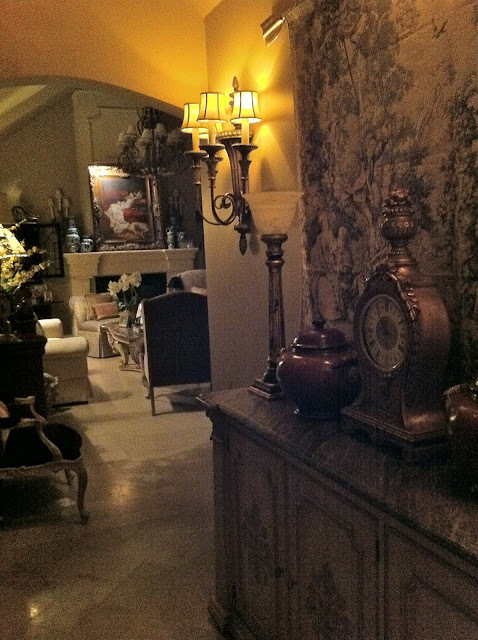 This is our "traffic" hallway which leads to the kitchen on the right, the dining room on the left, and the living room straight ahead. Our house looks like a ranch from the outside but there is a second floor to the rear where our son has his rooms and a guest room. Our bedroom is on the main floor on the other side of the living room. That is where the largest TV resides, the one with TSN and constant channel clicking. Our dining room is probably our favourite room and I admit a bit under-used at the moment. One of my favorites pieces is our dining room table which is a platinum finish with antique mirror. It reflects the crystal and lighting so warmly that I find I rarely use table cloths. It also has two extensions which I use for holidays. 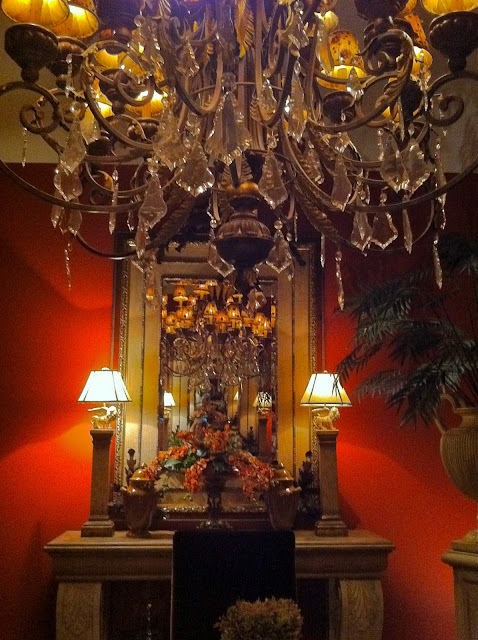 Though the scale of this room is larger than it appears, these mirrors with their ornate tops are approximately 6' tall and became one of my signature pieces for traditional interiors. Everyone wanted one. With the symmetrical pairing on each end the pair beautifully reflects the chandelier and makes for a sparkly room when the candles are lit and the wine poured. Our chocolate brown velvet dining chairs are quite generous and high-backed. I never could understand the use of delicate chairs in a dining room, they make me all fidgety. I like something cushy so you can comfortably settle in for the evening, you know keep serving the food and pouring the wine. I really do have to start cooking and entertaining again. 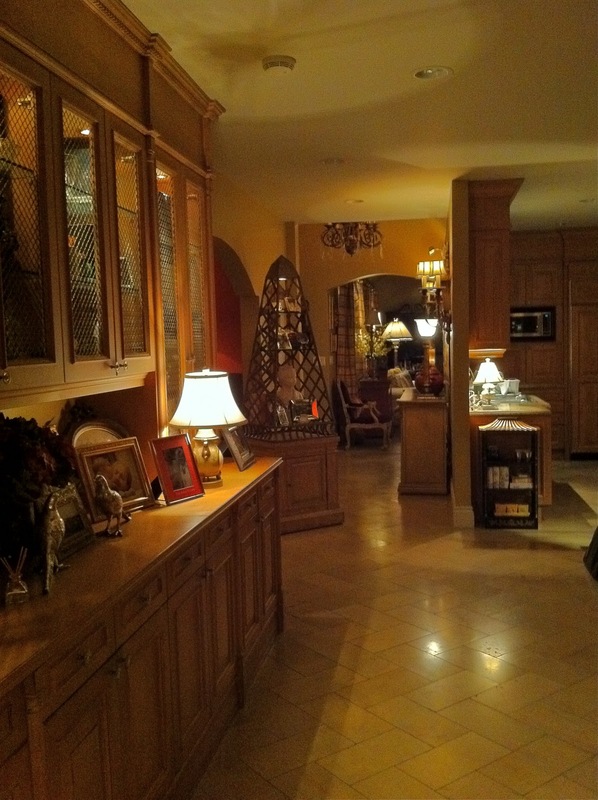 Though this is our front entry, it is quite understated in size and demeanor which is typical for French Country design. We have another entry which everyone prefers so this tapestry goes unnoticed for the most part. Too bad, it was one we found in a Vermont barn many years ago and was one of those great finds you come across now and again. 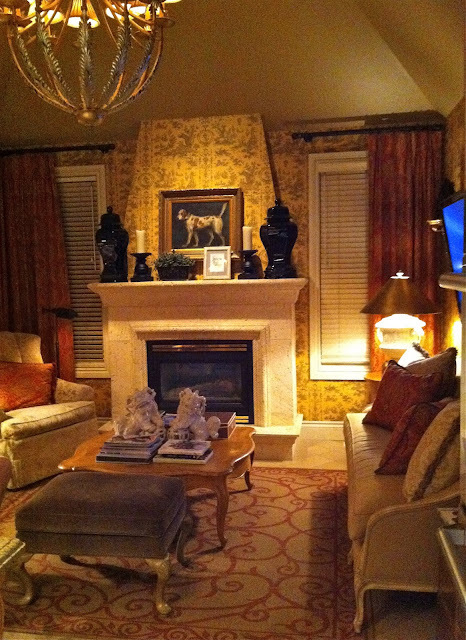 I have some new plans for our Living Room this year besides finally adding a gorgeous area rug. I think I might re-upholster the sofa in a rich jade embossed velvet, something antique looking and replace that large oil painting with something more modern. I have been lusting after a large, distressed wood library table so I can can lay out all my books and reading material across from the sofa, pretend I am going to study history (I am someday). And a huge gorgeous lamp with a red fabric shade. A winter spot. Maybe plan some company menus? If you see some gaps in furniture it is because I "borrowed" a few things for the POP UP store. Off went my leopard begere chair and a few other smaller things. So this room looks a bit overly-monochromatic and looks like the cocktail table needs a bit of re-arranging as well. My main area of design was new home building and I loved seeing a home being built, any size, any shape, any style. 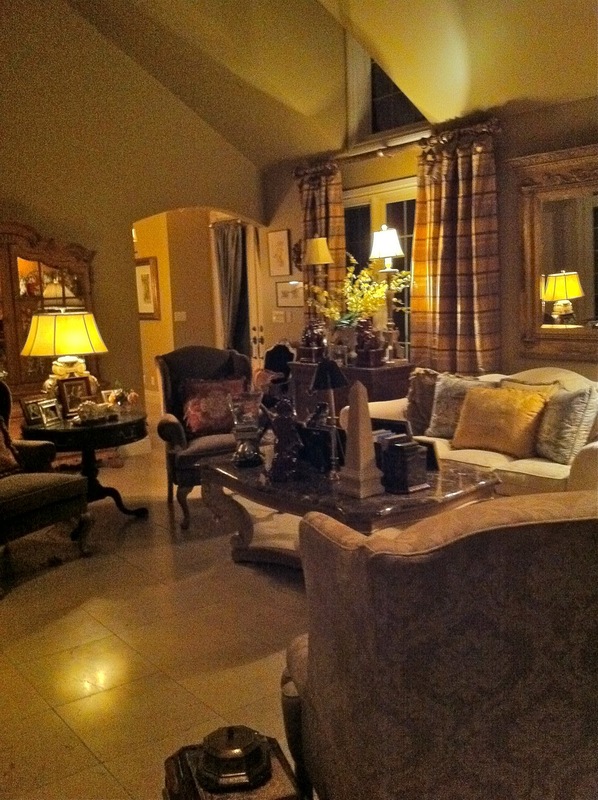 Our Jack Arnold French Country home is well-used and well- loved. You can't ask for much more than that. Everyone has a special thing in their homes. 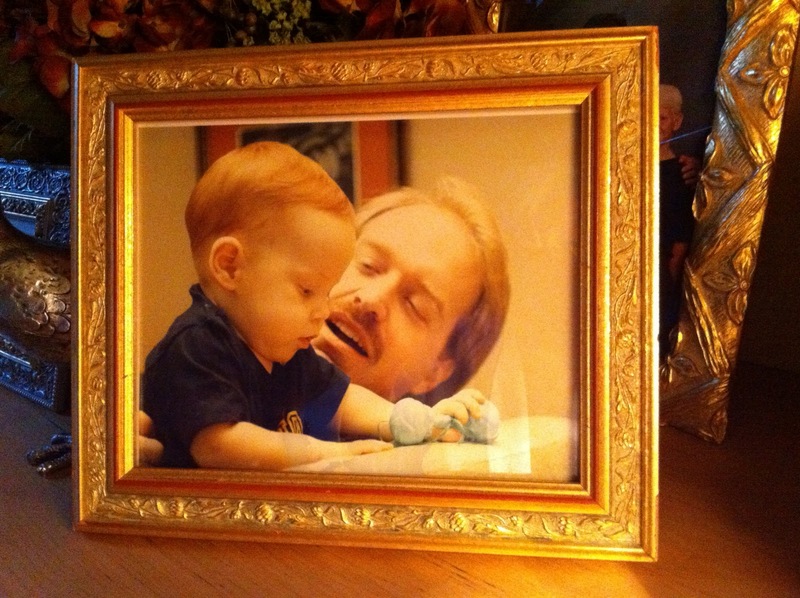 For me, it is this 27-yr. old photograph of our son and his new dad. Besides the cute red hair, the sweet little rattle, the little sport team shirt (already) the photo has a most precious detail that a close-up would show you. Droplets of drool are about ready to fall off his bottom lip. Hey, and his father is looking pretty good too! Retro mustache and all. This photograph always makes me smile. Happy Thanksgiving to my American friends and readers.....................may your turkey be delicious and moist, the stuffing perfectly seasoned, the cranberries sweet, the pie crust flaky, the wine full-bodied, the conversation leisurely, the clean up fast, the stores open bright and early on Friday. I shall be thinking of you all as you spend time and give thanks with your loved ones. May the holiday season begin beautifully for each and every one of you. I have been waiting months to post this autumn photo and even though it is the last part of November I am still seeing a few trees of brilliant colour in this unseasonably warm autumn. 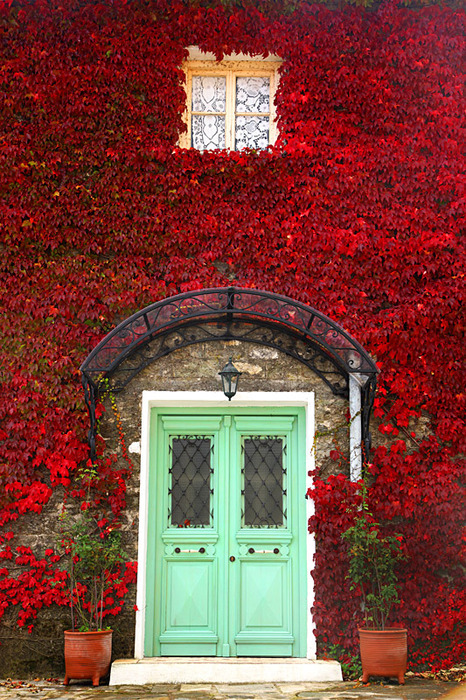 Don't you just love that green colour on the door? I had to do a little searching to remember where I borrowed this brilliant photo and that was a fine way to spend the morning on my one day off this week. It's raining outside and though I should be doing Christmas errands and buying groceries so my husband can have a meal tonight I was really in the mood to spend a few hours catching up on blogs and looking around. The POP UP store is going very well, but it does mean long days, lots of fun chat, and little time for anything else. But I had the most lovely visit when Julie, a reader from Pittsburgh showed up along with her Denver sister at my shop on Sunday. While her patient family strolled around and waited, we talked up a fast storm, laughed, and took a few pics which I hope she will send me. I like to think she just flew in to see me but you know how small this world is, she has family that lives just minutes from me and was in town for an annual visit. Just goes to show you how cool blogging can be, Julie and her sister were a lively duo and they certainly made my day. Anyways, back to blogs and who writes a really good one is Simply Seleta where I found both photos and there is that green tone again which seems to be capturing my attention these days. 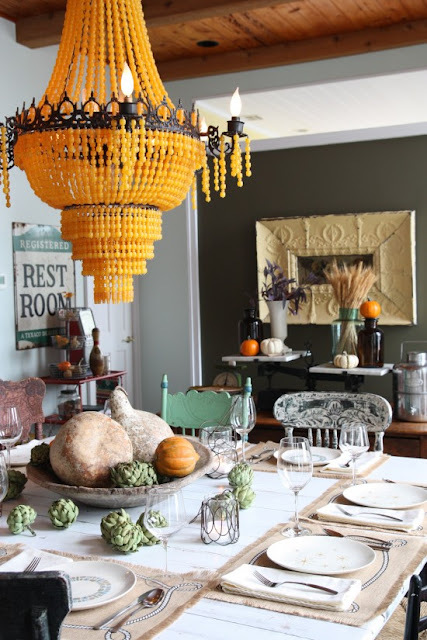 Though I should be talking about that most gorgeous chandelier and I know a warm and cosy Thanksgiving table is exactly what my American friends want to see this week. When I browsed through the new issue of RUE Magazine this morning................there was a variation of that green tone again. 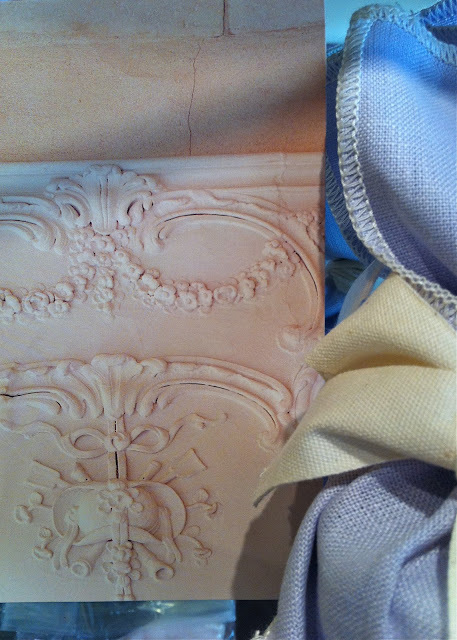 This colour and the second edition of Rue (online) is making me swoon with envy. I adore this colour and the soft glamour in this ultra feminine bedroom. I could look at this all day and actually I have been so thought you might like to see it too. This is only the second online issue of Rue but they are coming out strong and fabulous. 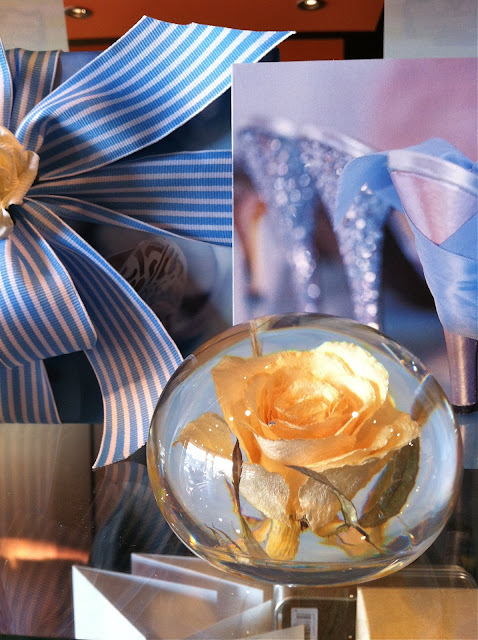 Lots of blogger interiors and entertaining features on some of the blogger heavyweights like Sea of Shoes and The Adventures of Tartanscot. I just started following Scot Meacham Wood, the Tartanscot and nothing but fun in plaid. Talent too. Want a stylish holiday party theme? Go see his tartan party, nice tuxes and no socks allowed (you will see what I mean). 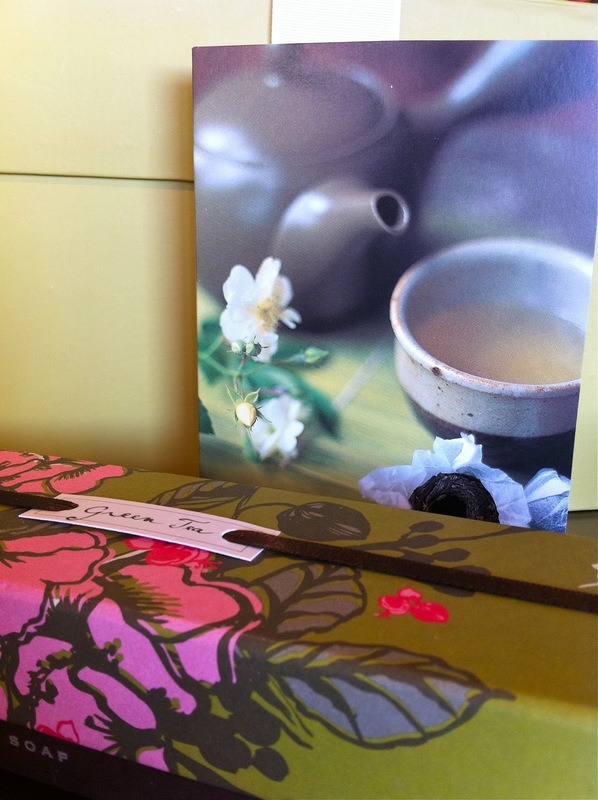 Rue even has some gorgeous, gorgeous holiday gift wrapping. Look at the combination of green tones, exquisite combination isn't it? Perfect for those special girlfriend gifts. I am off to find that ribbon colour. Rue is also offering some great gift tag downloads. They have a calligraphy one created by Hello Handmade which I think is perfect for every holiday gift. The photo wouldn't download(but you must go see it for yourself) and I am off again to go watch a few episodes of In Treatment, that HBO series that has me so intrigued. I am quite absorbed with the character Frances, an aging, semi-narcissistic actresses played by Debra Winger, yes she is back and looking quite good I might add. When Gigi of the blog Magpie Fancy asked me to join her Legacy series, my first thought was..........me? 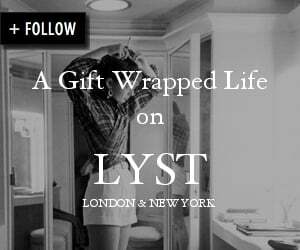 I write about giving and gifting, how on earth could I contribute to such a thoughtful and worthy subject.? It has been a pleasure to read the contributions to Gigi's Legacy series, each post so heartwarming and unique. Behind each woman who blogs are many layers we might not always think is there. But each of us has a story to tell and in the telling, hopefully our words and experiences will reach out and touch some one else. I hope you will visit The Magpie Fancy today and read my shared legacy and in doing so I hope it will help someone, someday. My heartfelt thanks to Gigi for including me in this remarkable series and to the many readers who showed such compassion and understanding with their beautiful comments on both blogs. Many thanks to The Prairie Girl for the use of her image. As many of you know, I opened a POP Up shop on Saturday for the next month to clear website inventory from A Gift Wrapped Life.com. Click here to see local details. The worse part is now over (the counting, the pricing, the packing, the unpacking) and I am settling in to the retail environment and I have to say.................we are having tons of girly fun even though my legs are so sore I can hardly walk and my husband hasn't had a decent meal in days. 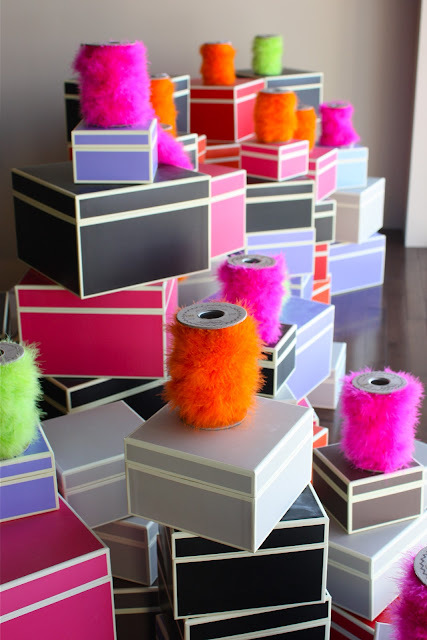 That aside................need some fun fur ribbon or some great storage or gift boxes.? The "we" in having fun is due in great part to my good friend Stephanie who has been adding her clever creative touches all over the store. Not only does she spark my own creativity, she has tons of her own and I really needed her remarkable eye this past week. As one of our friends said on Saturday as she gathered her gift bounty "this is the most fun I have had in months". A couple of hours in the POP UP shop and she is all ready for beautiful gift-giving for the months ahead. Tomorrow I am going to gift wrap her purchases, then she really is ready. The idea behind a POP UP shop can be to clear inventory at markdown prices, like spools and spools of this lovely organza ribbon with little crystal hearts. It can also be used to promote new products and many major companies are using this retail method to blitz the market with hands-on marketing. If you are local to the Windsor area, you really must POP IN and visit our POP UP shop..........you don't want to miss all this girly fun or the great holiday buys. And I am not here for long, so hurry. Rows of organza tie-on bows, such a easy and pretty way to tie up a gifts. I just realized how these ribbon spools and bows match in colours. I will have to put the two together somehow on a pretty package. If I was younger and didn't have another "idea" in the works (more about this later), I would so be keeping this store on a permanent basis, it is kind of like having a chic social evening all day long. It was positively wonderful to have a local blog reader pop in to shop and visit, so delighful to meet anyone from the blogging community. My GIFT WRAP WORKSHOP is set for the evening of December 2nd and some of the highlights will be video taped the next day (when it is quieter) for blog posting. Gift wrapping is one of life's creative pleasures and once you see how easy some of the techniques can be, you will be wrapping like a pro. 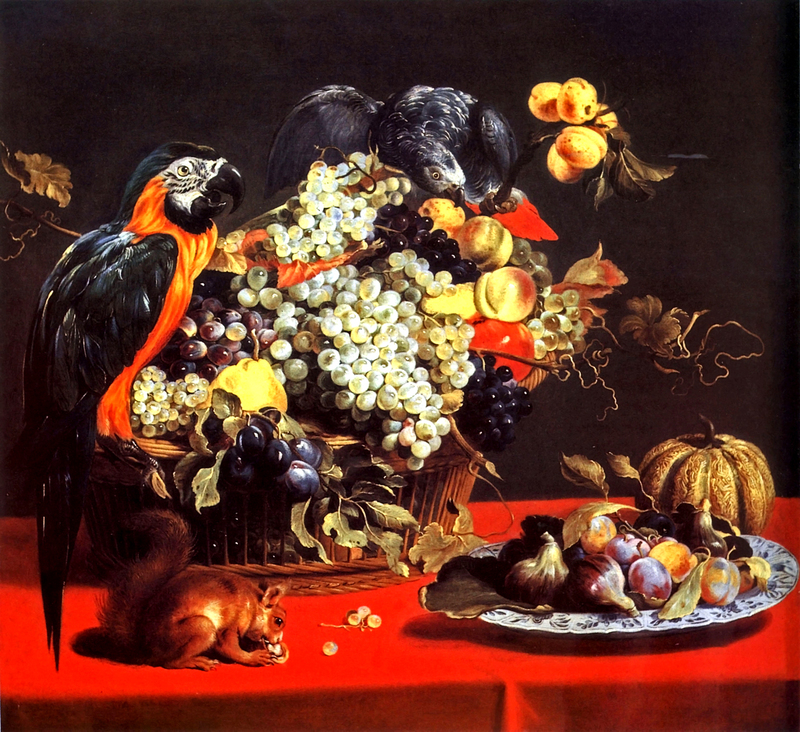 I intend on showing some practical basics and then an over-the-top presentation just for holiday inspiration. You can email me at sandechase@agiftwrappedlife.com or pop in to the shop to register. There is only a few of the Cote Bastide Giroflee Gel and Soap products left but it was one of my favorite imported products, so feminine and elegant. 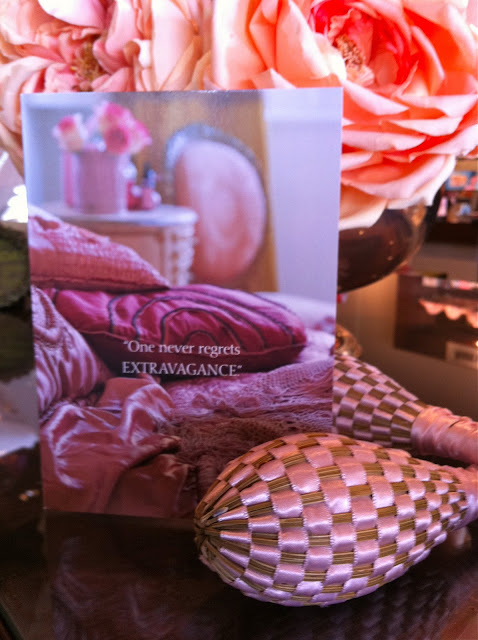 My other favorite product for personal gifting is that blush linen photo album, I always saved it to gift my favorite women. 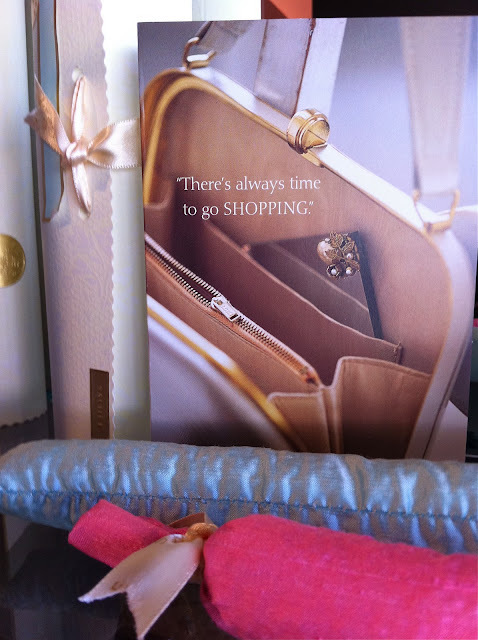 I loved wrapping these products in pleated pink tissue with wide satin ribbon. The Little Prince may sleep here but my new little furry Princess was born late Saturday and put a smile on my face all day Sunday. We even a pair of furry friends named Dolce & Gabbano visit the shop yesterday and they seemed right at home with all the girly chat and fun. In fact, I think they are coming in for the day on Thursday. I will have to introduce them to my little princess in a few months time when she finally comes home, girls just love to socialize don't they? For many years now, I have had in the back of my mind a design for huge gift wrapped packages for exterior holiday decorating. Wouldn't it be fabulous? For even more years, Christmas has always been my busy time whether it be design or shipping smaller gifts so the execution of that design is waiting for a year when I can actually plan that far ahead. 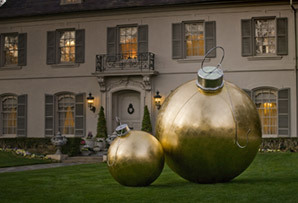 But wouldn't these golden lawn ornaments make a festive statement? I saw them today over at One King's Lane and thought they might bring you a smile today.............if anyone orders these and displays these on their front lawn, please send me a pic. Thank you to readers who wished me luck on my POP UP shop which opens tomorrow. I promise to post some photos and dates and times for the Gift Wrap workshop. Welcome new followers! Every time I come across these photos I took of the Pavillon de la Reine hotel I want to book a return flight. 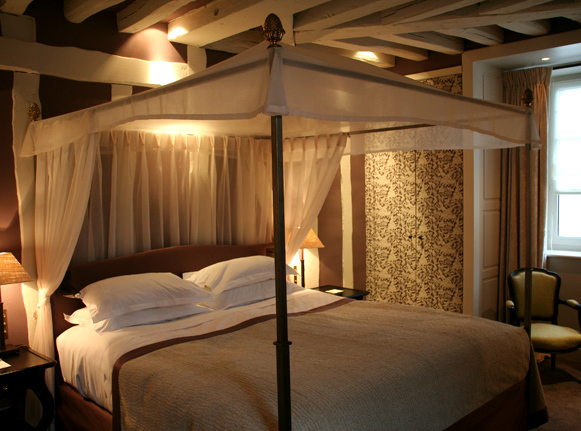 The luxury boutique hotel is located in the chic Marais district, quietly tucked behind the Place des Vosges. You might remember how charmed I was in touring the lively Marais area of Paris and this hidden gem is on my hotel list for my next trip. 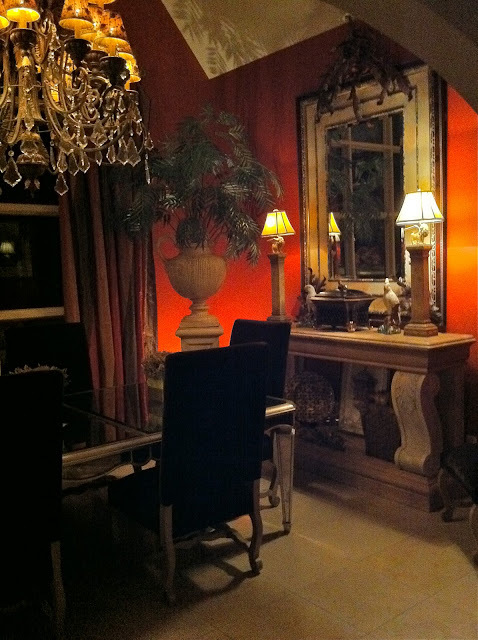 On a personal level I have a thing for red, orange, and warm tones and so does my Taurean husband who loves our Chinese red and orange dining room. Not that he has been served any meals in it lately. But I am off track here, because I really want you to mark down this hotel if traveling to Paris anytime soon. Even visiting their website here is a nice cosy departure, even if for only a few minutes. 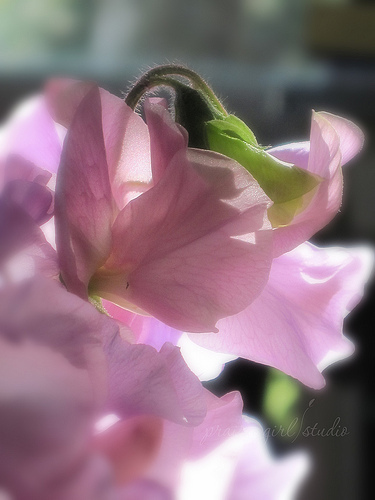 As a designer, I adore oil paintings and artwork with picture lights, the soft glow it introduces to any room, the way it pulls me in to see more. My electricians thought I was crazy when we built our house. We installed 18 of those recessed picture lights (recessed outlets so artwork hangs flat) and just about every room in the house, even the kitchen. Off track again, but this hotel must really remind me of home, a calming thing when traveling. Or should it be totally different? I once stayed in one of New York's most hip hotels. somewhere with a totally different vibe. The room was glam layered in white, nice look but the mattress of poor futon quality, the staff frosty and unhelpful, the price outrageous, so now I look for comfort, a calming spot to land each night. You know how I love the cocoon value of a canopy bed (especially when traveling) and this lovely guest suite looks just about perfect for easing into a different time zone. 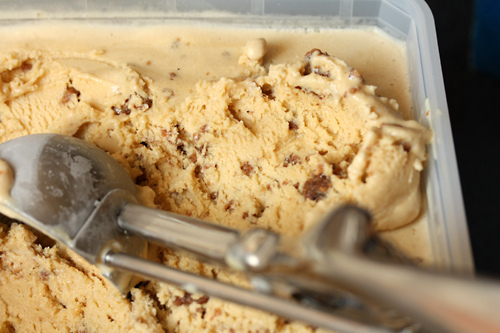 Speaking of comfort................head over to David Lebovitz's site here for the recipe for this yummy Brown Bread Ice Cream, the ultimate comfort food if I ever saw one. Someone in the world of social media sent me over to Elle Decor yesterday, I can't remember who but I did have a good time peeking into the personal world of good design before the rest of the world woke up. Look closely at the custom wallpaper using the Andy Warhol graphic, this book jacket effect can be found in the vibrant guest bathroom of Candace Bushell. I am not sure I would want my face plastered all over the bathroom (or anywhere) but in this case it certainly makes sense for the best-selling author. In fact, I think it is downright clever in her case. 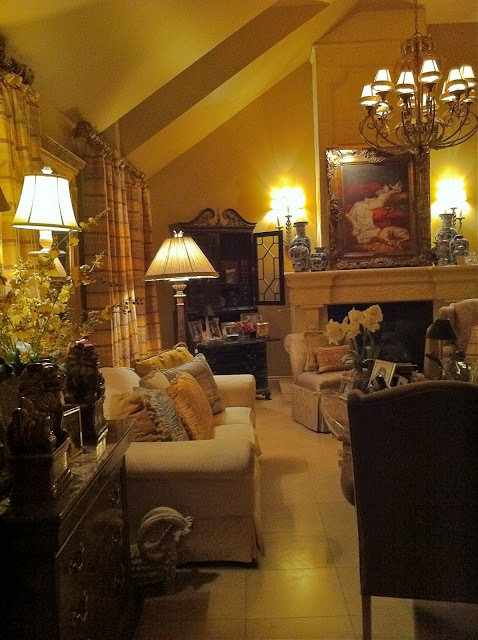 She has a pretty sweet living room as well. Bushell scored this gorgeous antique settee from novelist friend Jay McInervey and I love how Bushell and her designer friend Susan Forristal re-upholstered this Louis XVI settee in blue velvet and then layered the room in varying shades of blue. If you head over to this blog link you will see how J. Crew is showing the exact mood of these sweet colours for spring fashion. 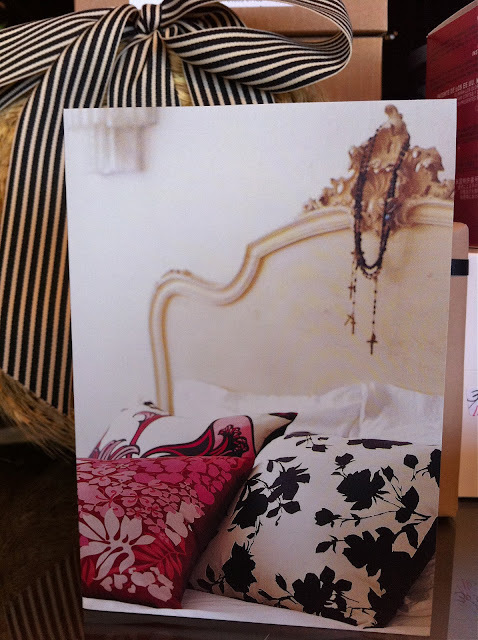 Go take a quick look, see how interiors influence fashion, or is it the other way around? Maybe a bit of both? 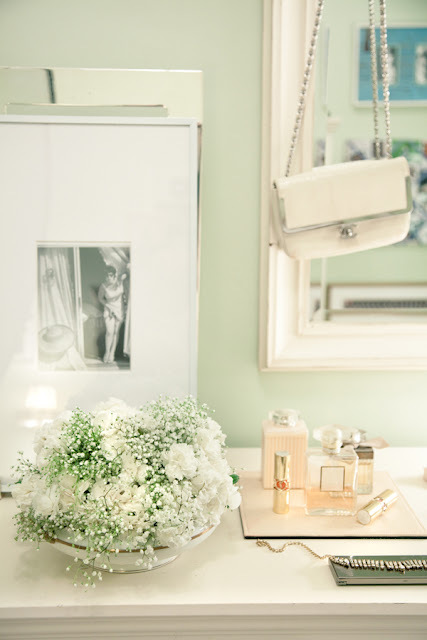 I have to do a major closet purge in January and if my smaller dressing room ended up looking this glamorous I would be a happy and blissful gal. 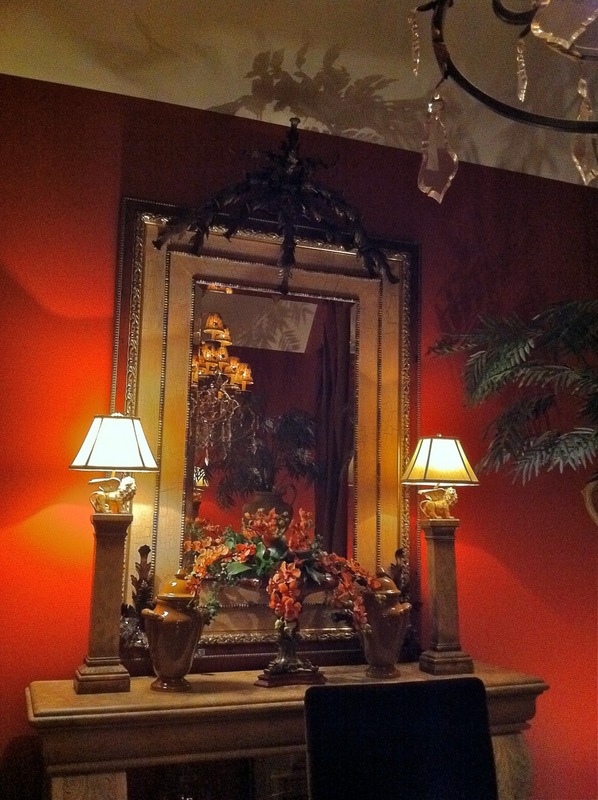 This "salon" dressing room is owned by fashion designer Nanette Lepore and the combination of velvet, antique mirror, and crystal makes it one sweet confection. 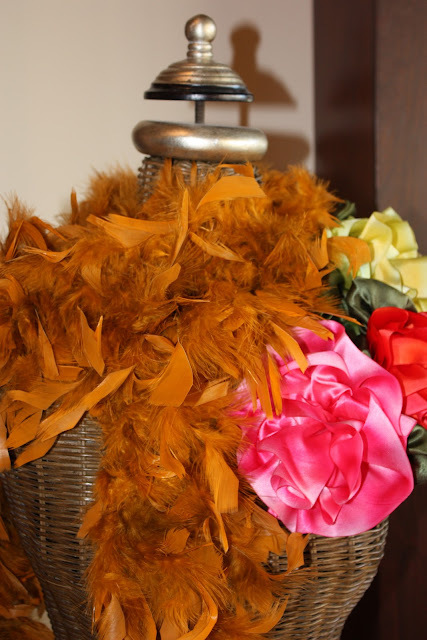 Lepore stores vintage clothing in one section and her own designs in another. Lately I am thinking that I will introduce some vintage into my wardrobe too. Oh wait........I am pretty sure some of these un-purged outfits might qualify as vintage by now. Perhaps I should consider a small upholstered ottoman for my tiny puppy that will joining our family over the holidays. I will tell you all about her/him soon, my canine companion is ready to enter the world at any moment. He/she is the cutest toy breed ever, but I am keeping that little secret until that puppy is in my hands. Along with closet purging in January, I will also be house-training our new bundle of joy. Hope it is a girl, help me decide what to keep and what to throw. The older I get the more I love shoes, too bad my mature age and lack of need force me to be practical at times. I miss the days of wearing 4-6 " heels all day along. Speaking of sore feet, heels, and arches, did you hear about these Kushyfoot-Flats To Go? Small enough to fold up and tuck into your purse and bring you Emergency High Heel relief. Sorry, I got sidetracked to comfort and so back to shoes. Is there anything more entertaining (on a women's level) than to study a personal shoe collection? This colour-blocked collection belongs to Jenna Lyons, the creative director of J. Crew. Figures doesn't it? I love how each pair is arranged to see both heel and toe. How come I never thought of that? I woke up at 6 am today. Actually it was 5 am. We didn't realize our mistake until about 9 am when my husband was preparing a bacon-and-egg breakfast, we totally forgot about last night's daylight savings time adjustment. While he cooked, served, and then washed up, I sat at the island and finished up some last minute inventory counts before the movers knock on my door. I told my husband that I had a bit of a "got-up-to-early" headaches, he said no, that would be those 3 strong drinks you had last night. I don't actually drink that much so I forgot all about those drinky headaches but I sure slept well. Yesterday, my housekeeper Alana, her daughter Monica and I listened to a energetic play list while cleaning up the temporary retail "Pop Up" shop I told you about last week and I thought I would share some of the "before" photos. By the end of today it will be filled with merchandise, and then the race will be on to unpack and price inventory, advertise, and do all the display before I open the doors this coming Saturday. Oh, and I have a wireless Interac transaction device to learn tomorrow. This should be interesting. I will post all the Pop-Up information early this week on this blog for local readers. I got kind of lucky in finding a temporary space that is perfect for this type of limited sale, especially considering it is located 3 minutes from my house. Back where you see the name of the former store occupant is a workspace counter where I will set up for a couple workshop events. My website business and blog (eg. 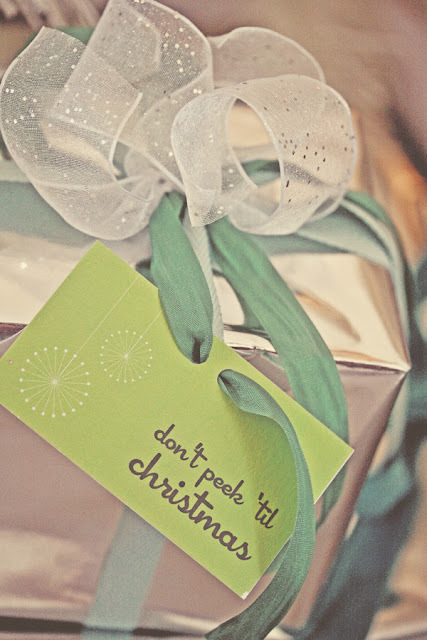 latent gift wrapping ability) are better know outside my home city of Windsor, Ontario (which is typical for websites) so locals will be wondering why a designer is suddenly offering gift wrap workshops. So though there is room for about 50 chairs, I may only need a few and those would be used by my friends and any one else I can convince to attend. If I can organize one more step during this month-long marathon, I may video the workshop and share it on the blog. Some gift wrap techniques are better seen than written about and some readers have suggested this idea more than a few times. Which means you would have the pleasure of hearing this Canadian say "eh" at the end of every sentence. It's true, we do that quite a bit. 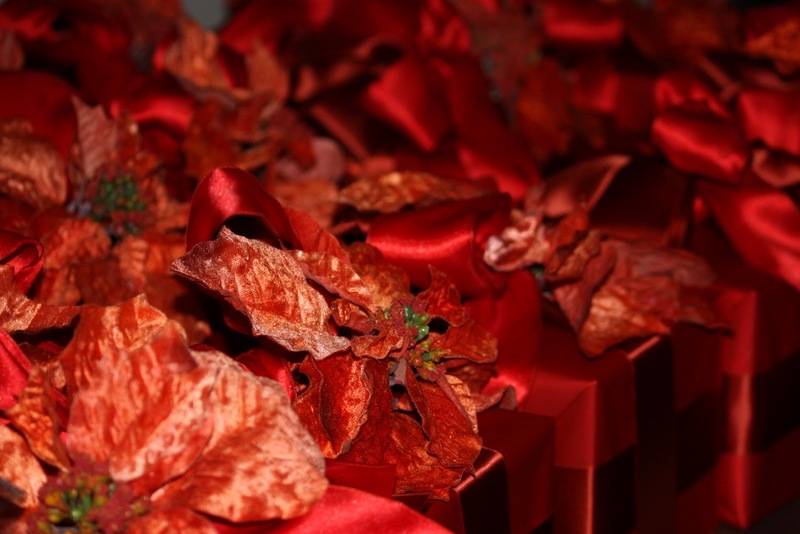 Remember these orange crushed-velvet poinsettias I used last Christmas? I have quite a few left so they are going to cover the store Christmas tree. We spent last Christmas in snow-covered Oklahoma and I never did get to see this orange and red colour scheme on my tree as I had envisioned. Then, of course they will be on sale too, unless of course I really like the final effect. If so, then the tree and I will walk home when all is said and done. It might not be the most interesting part of gift wrapping but it is the most practical and ecological. I have tons of better things to do these days of which I will get to in a minute, but that didn't stop me from ironing, yes ironing, a lovely pile of ribbon and tissue paper that I keep in a "to iron" box. I really like the gold stripe tissue that comes in Kate Spade boxes and there is no way I wouldn't feel bad throwing away perfectly good and stylish tissue paper without at least trying to see if it could be successfully "de-wrinkled" and used again. I will show you why and what I did with this golden mass in a upcoming post...........just not today. Explanation up ahead. Then I thought I might as well iron a generous handful of green and gold ribbon that my friend used for my birthday gift last winter. Add a few colours to my collection. 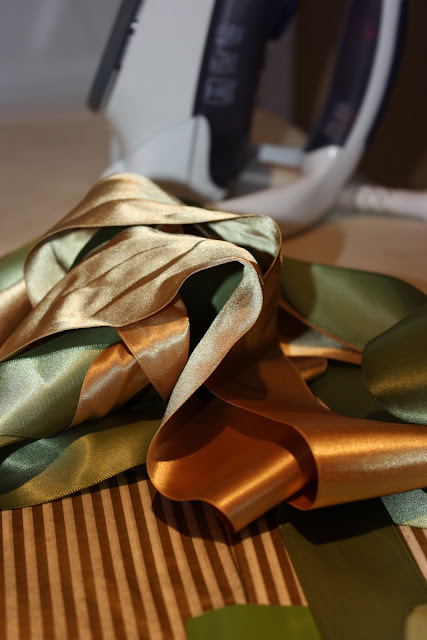 Yes, I already of a ton of new ribbon but I can't not use these lovely satin lengths and so should you. A reminder of sorts for the holiday ahead. The left is the wrinkled state, the right where I ironed. Smooth and easy as can be. What is not going to be easy is the next few weeks. I am opening up what is lately referred to as a Pop- Up shop here in my local area to tidy up my excess gift inventory. You rent a temporary shop for a limited time period and have a big sale, when everything is gone.......so am I. I am going to be a real retail girl for the next month, the kind that has to dress up every day, open up the doors each day at regular hours, orders take-out for lunch (sushi next door-bonus), and have a few fun events like a Gift Wrap workshop. Sounds kind of fun doesn't it? It may mean less blog posts, it may actually mean more as a way to pass gaps in customer traffic. Hard to say, right about now I am doing crazy really well. Is it kind of weird to iron your tissue and ribbon? And then re-use it? Let's put it this way, these days it seems even weirder to have piles of it this holiday season and just throw it away into the garbage doesn't it? 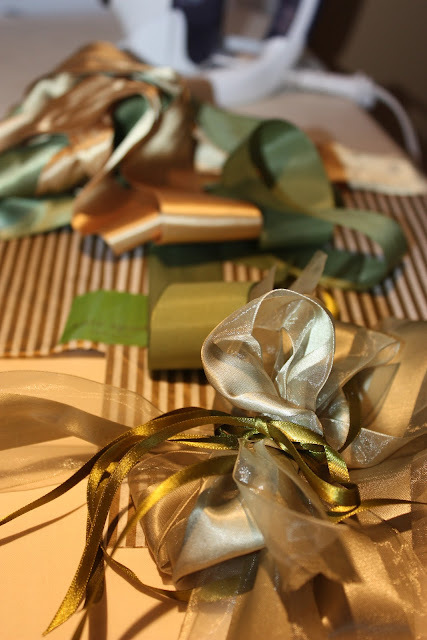 If anybody gives you a gift with any kind of ribbon, store it in a box and when you have the need for gift wrap materials or the desire to do mindless ironing, then go for it. I found it to be quite relaxing. 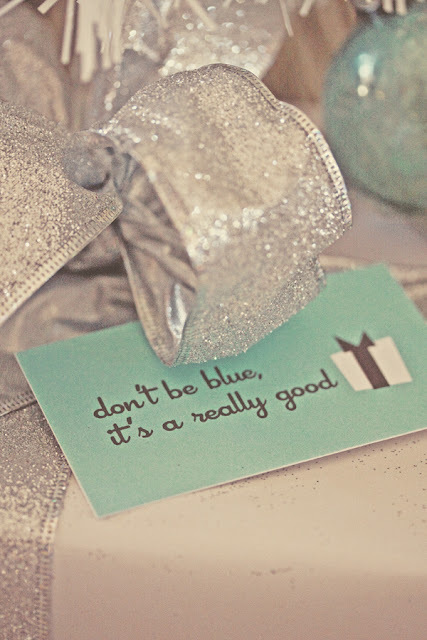 The same applies to store tissue and gift wrap paper, you have nothing to lose by trying. There is a few ribbon exceptions. If it is, you know, the really, really cheap kind of ribbon that many of us use for mass gifting, it may melt right into your iron so watch the temperature, do a test spot and take it from there. I store my ironed ribbons on those velvet hangers you can buy by at Target. Gift wrapping in your closet. See you soon..............off to work I go.